This poll also marks the start of the countdown to the Seanad referendum, with just under three weeks to go to the vote on the 4th October. In the past, the public have been seen to only really start to connect with the issues on referenda in the final 2-3 weeks of the campaign. For this referendum I would not expect that to be any different, particularly this referendum hasn’t really captured the public’s imagination yet, and it is only this week that posters have begun to appear on the subject and the referendum commissions advertising has begun. RED C first conducted a poll on the referendum back in June for bookmakers Paddy Power, and since then the general trend has been for the Yes vote in support of abolition to decline. 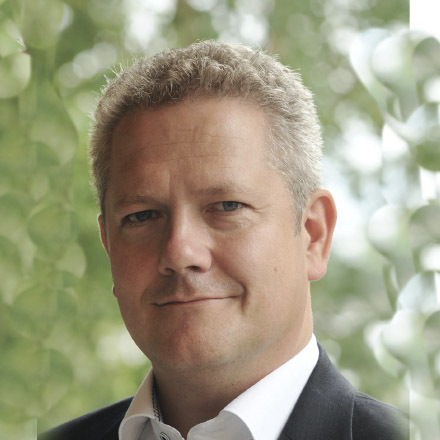 This trend is typical in any recent referendum, where it is up to the supporters of change, to persuade voters that the result will be an improvement on the status quo. The problem for the government parties is that they could be in danger of losing this one. With three weeks to go, and no real debate as yet, only 50% of likely voters suggest they will vote Yes in favour of abolition. This is down slightly from June when 52% stated they would support the abolition, so as in past referendums the Yes vote is declining, even if only gradually. 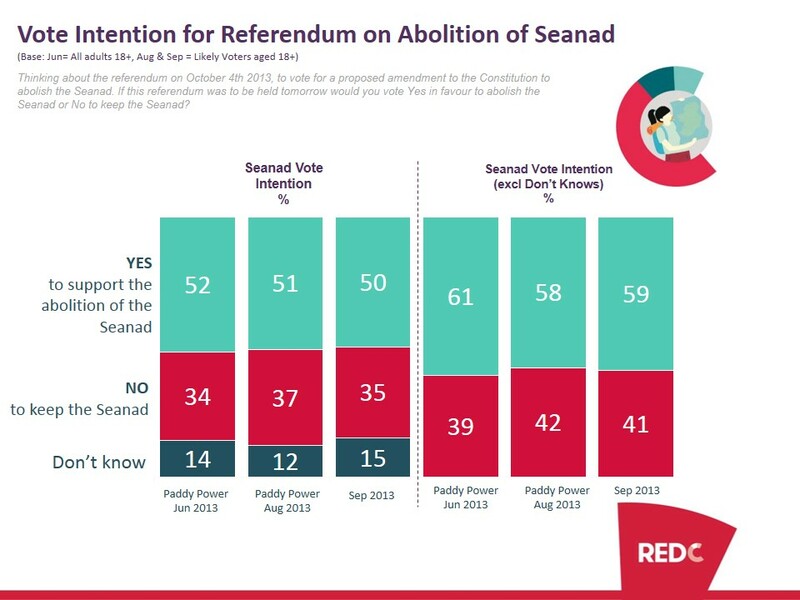 Now, it is true that only 35% of voters currently suggest they will vote No to keep the Seanad, and it is also the case that this is lower than seen in August when 37% said they intended to vote No. As such, if we were to just look at the Yes and No sides on face value and exclude the undecided voters, it would suggest that the vote should be carried relatively comfortably. History however does not suggest this to be the case. The reality is that if you don’t know how to vote in a referendum, but still intend to vote, you are far more likely to vote No, than Yes. The reason behind this is that if you are unsure how to vote, it is far easier to vote No in order to keep the “status quo” and leave things as they are, than to vote for something where you are unclear of the consequences. As a result this referendum is potentially much closer than the base figures suggest. Further slips for the Yes camp over the next three weeks, and it could be very tight indeed. The signs to watch for will be how effective the No camp is at casting doubt over the benefits of change. The more people doubt the benefits, the more likely they are to vote No, and so keep the status quo. The key for this will be Labour and Sinn Fein voters, who despite their parties support for abolition seem less than sure of the reality. While Fine Gael voters appear to be more likely to support their parties stance, with 67% suggesting they will vote Yes, just 50% of both Labour and Sinn Fein’s supporters agree with their parties stance at present. At the same time, those in more upmarket groups also appear less unsure with just 45% supporting the abolition; which again emphasises the precarious nature of the vote, as they are far more likely to vote in the referendum. Women, those voters living in Dublin and younger voters should also be key targets for the Yes side, as they are all currently less likely to support abolition. With three weeks to go, the Yes side certainly do have a fight on their hands.